Fall in the Salvation Army brings many new beginnings. As school, sports, extracurricular activities, and corps programs once again kicked off, teenagers chose to embark on a weekend getaway at Camp Wonderland where they would plunge deeper into the Word. This year marked the second annual Corps Cadets Encampment, which welcomed participation from twelve corps across the Massachusetts Division. During the Boot Camp, corps cadets had the opportunity to complete all three of the September cross training lessons on the book of Psalms. 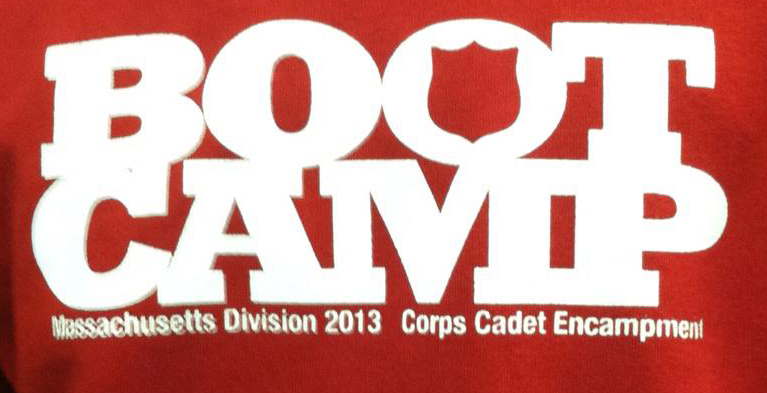 On Friday night, 74 delegates received “Boot Camp” sweatshirts and “swag” bags filled with candy before departing for Family Funway in Foxboro. 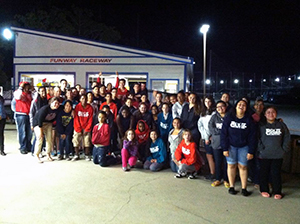 There, they had the chance to fellowship with their peers while playing miniature golf, racing go-karts, and soaking each other on bumper boats. Meanwhile, leaders attended a leadership training, which underscored the importance of the Corps Cadet program and the most effective methods to use when teaching the material. On Saturday morning, all delegates met in the chapel and dove into lesson one, Psalms of Praise, led by Krista Zeh from the Lowell Corps. She stressed the importance of praising God not only for what He does in our lives but also because He is Lord. This offered corps cadets the chance to focus their attention on God rather than themselves. The second lesson, Honest Anger, taught by Captain Leslie Knaggs, delved into anger as a legitimate emotion that God understands and helps us control. Cruz Chi, a Corps Cadet from the Athol Corps, commented on this: “I learned that it is okay to feel however you feel, as long as you let God help you keep [your emotions] in check.” This sentiment was echoed across the board by corps cadets over the weekend. After Major Pat Henry of the Lowell corps taught the third lesson, God of the Lonely Hearts, Candice Morgan of the Springfield Corps stated, “It’s okay to show any emotion to God, even sadness, loneliness, and anger.” The Psalms tell us that even David experienced loneliness but we can count on God to never desert us. To close out the encampment, Corps Cadets participated in a time of worship and commitment to the Corps Cadets discipleship program. During this time, leaders not only prayed for the discipleship of their group, but the teenagers were also challenged to pray for their leaders. As evidenced by this year’s Boot Camp, God is clearly working in the lives of our youth and raising leaders for the next generation. To Him be the glory.